To be honest, I had a different feature scheduled for this week but decided to switch it out. Anyone who knows me, knows that I absolutely love anything Harry Potter. I cannot even tell you how many times I have seen the movies over and over and still never get tired of them. A true Harry Potter fan knows that his birthday is coming up on Tuesday, July 31st. I’m sorry but this week’s feature is not about Harry Potter. As much as I would love to do a Harry Potter quote freebie; I already have so many listed in the FB Group. The topic of Harry Potter got me to thinking about magical things and creatures. 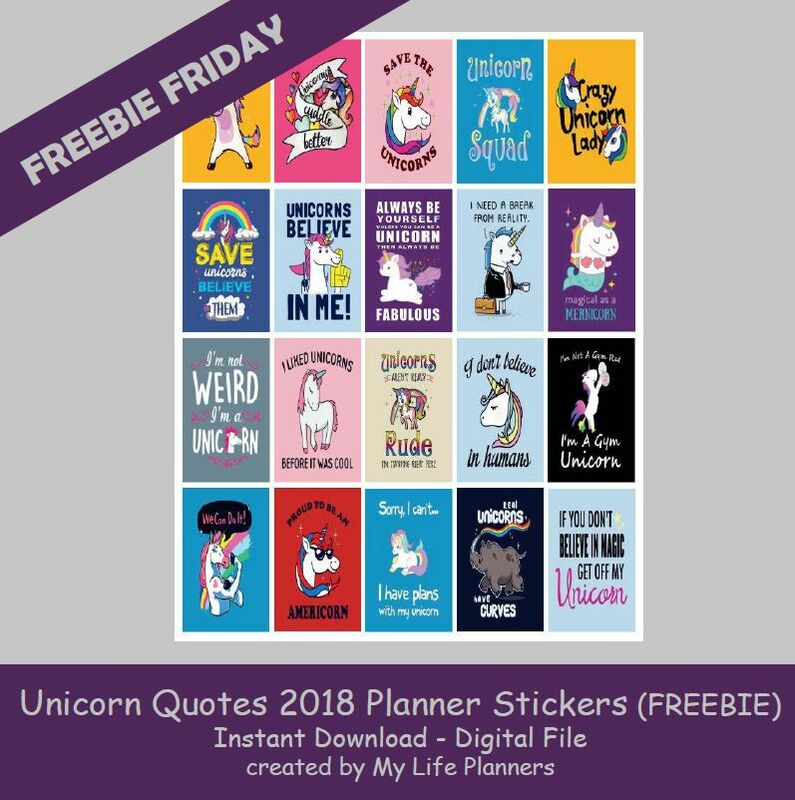 This week’s Freebie Friday feature is Unicorn Quotes to spread a little magic to your planner. You are never too old to believe. In case you missed Unicorn Quotes 2017 Planner Stickers you can revisit and download them from here.